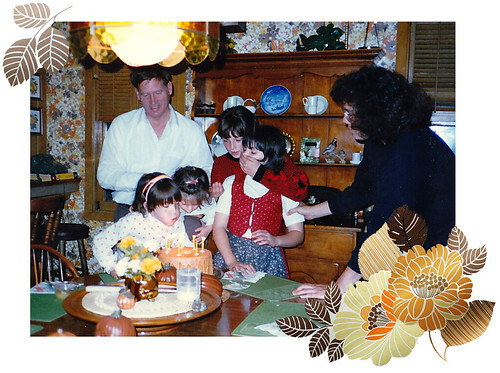 Well, I was only turning 7 in this photo, but the family dynamic is just about the same today as it was then. It looks like I just barely got to blow out my own candles that year! I'm taking the day off to do a little shopping and enjoy the day. Wishing you a happy Friday and a great weekend! Belated birthday wishes, Casey! What a great photo - looks like a pretty rambunctious crowd!